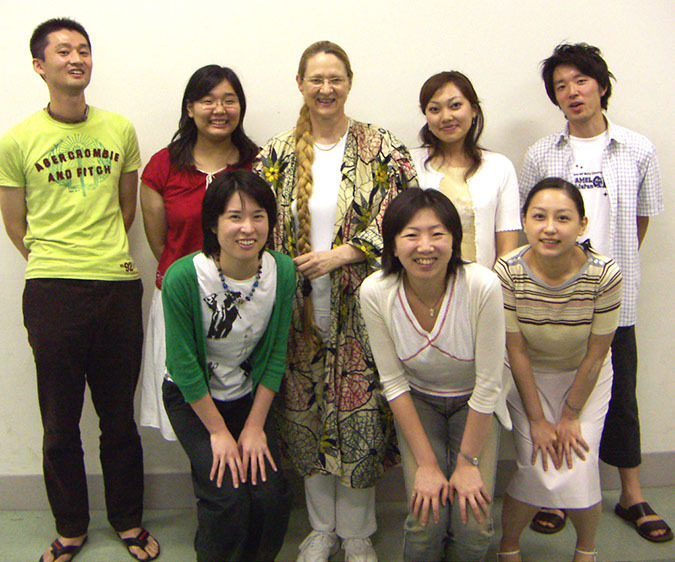 Graduate School of Intercultural Communication, Rikkyo University, Tokyo, in Professor Adair Linn Nagata's Course of Interpersonal Communication, June 28, 2005. Lecturer: Evelin Lindner. Please click here or in the middle of the picture to see more. Pictures taken by Professor Adair Linn Nagata. • Morita, K. (2008). How Can We Develop Environmentally Friendly Attitudes? : A Proposal of Environmental Reflexivity. Annual Review of the Japan Society for Intercultural Studies, 6, 95-110. The Japan Society for Intercultural Studies. (in Japanese).